I was lucky enough to visit the Florida coast last week. We were in a place known for its shells. 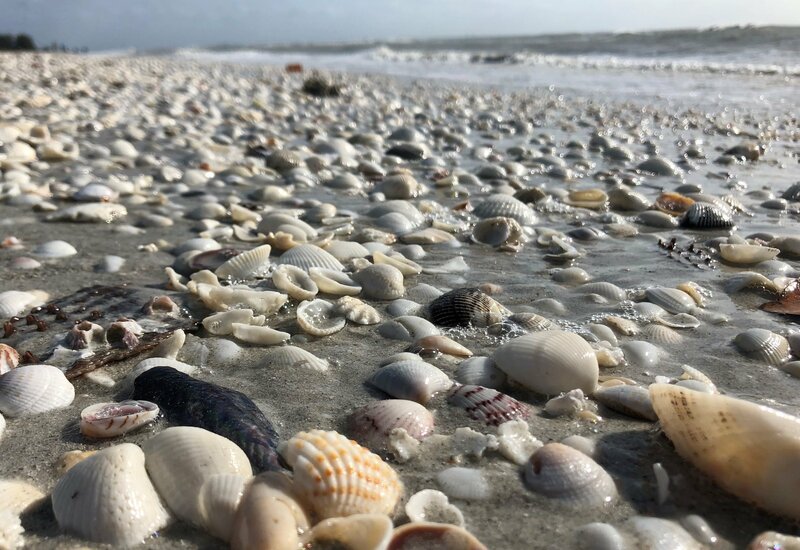 I love just walking along the beach not only looking at the variety of shells, but also at the number of people who stopped to LOOK. I think so often in our life we don’t slow down enough to see or appreciate the small and amazing things all around us. When I stopped to look, I found a tiny crab the size of my thumbnail skittering along the sand. I saw a small jellyfish the width of ping-pong ball. I saw unidentifiable semi-squishy things. And millions, if not billions, of shells. And what struck me the most about those shells was that each one was amazing and beautiful in its own right. Each one had been the home of a critter. What was their story? There’s a whole universe in ocean – I am grateful for my glimpse into it.